I just happened to be in Colorado last week and so did Jacee and Jase. So we diecided to make an engagement session happen in downtown Denver at Union Station.It was pretty much awesome. And doesn't Jacee have the most beautiful smile? I am excited to be shooting their wedding in 2017. Yay!! I love when people come to me for a couples session, even though they've been married for less than 5 years. This sweet couple never did engagement pictures, so this was more like a post-engagement session. And I mean look at this fun, cute couple!You just want to be friends with them. These beautiful people bid on a portrait session at a silent auction back in the Spring to raise funds for Texas Tech University medical students (Pattie is in medical school herself). I was so pleased to meet them and learn more about them as I took their pictures.She is from Idaho, and he is from Albania. They met in Albania while she was in the Peace Corps and fell in love. The love, the joy, the laughter was oozing out. It was so cute how he looked at her, and it was so cute how she made him feel at ease. I look forward to sharing more. In the meantime, here are some favorites. Clovis mini sessions and Lubbock mini sessions are this weekend. I look forward to showing those to you too, so stay tuned. Linda is one of my dear friends. We became friends through photography and we now shoot weddings together when we can. It's so much fun shooting with someone you really enjoy :)One day Linda contacted me about shooting a 'just because' session at one of their favorite places. It is the place where Grant proposed to her and it's the place where Grant saw Linda for the first time in her wedding dress on their wedding day. And now almost three years later, we are documenting more memories for them at this special place. Here's a little peek at some of my favorites. I can't wait to share more with you soon. I mean, isn't Linda's smile contagious? 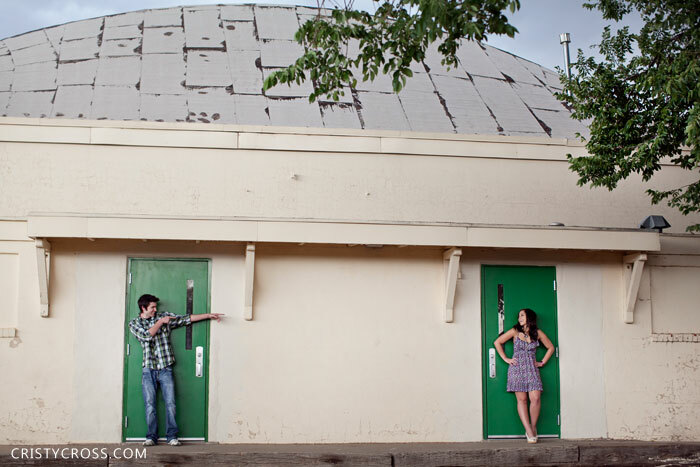 Annie and Eric came into town for a sweet engagement session. The flowers were finaly blooming this weekend, and they were a super cute couple.Here is a peek of my favorites. Annie, you are a radiant girl, and you will make a gorgeous bride. Congratulations to my cousin Alex on her engagement and wedding in June. Thanks for choosing me to photograph some sweet moments between you and Matt, and your sweet fur babies. So these two are getting married today. Happy wedding day Sara and Toby! Jessilyn and Russell got married this weekend, and two days before their wedding, we did their engagement shoot. Here is a little peek from that session. Barbara and Ross were headed to Colorado to celebrate their one year anniversary. On their way, they took a detour to little 'ol Clovis, NM for a one year anniversary shoot with their wedding photographer, me :) It meant the world to me that they thought of me to photograph yet another sweet moment in their life.Barbara and Ross, you two are super crazy awesome! Back in August I went to Odessa, Texas to hang out and photograph Carrie and Barrett for a 'just because'/'couples' shoot, and they are expecting their first baby...a boy in the Winter.I am so very excited to share the FULL session with you. This is one of my favorites of all times. We went to the sand dunes in Odessa for their shoot. It was a perfect evening, romantic mood, and lovely light. Grab a cup of coffee and take a look. That's what I'm about to do. This session helped bring back the creativity I thought I had lost. It was so refreshing working with Carrie and Barrett again (past bride and groom who are going on 3 years this September). I enjoyed working with them on their wedding day, and I had just as, if not more fun for their couples/just because session.Thank you Carrie and Barrett. Last Saturday I gave a one-on-one workshop with Leah Burgett. We talked about specific questions she had with posing, lighting, and composition and then we got to photograph this cute couple, Dusty and Jay. The one thing I didn't do and wish I would have was to take a picture of Leah. She looked beautiful that day! This was my first time doing a workshop and I really enjoyed it. I was so humbled when Leah asked if I would do one. I enjoyed sharing my knowledge I've learned over the past 12 years I've been doing photography since attending and graduating from Texas Tech with my photography degree, and then the knowledge I've learned from having my own business the last 5 1/2 years. Not only do I want to teach others, but while I did this with Leah I also learned some great information myself. Today was a humbling day. I had my first one-on-one session where I taught someone about the way I do photography. How I pose, use my light, and compose my subjects. It was a blast, and I want to do it again! Thanks Leah Burgett for a wonderful time. You are an awesome photographer, and a beautiful woman. Also, a HUGE thanks to Holly Stockstill with Coldwell Banker in Clovis, NM for getting us access to this beautiful location. Congratulations Anjelica and Andy! They are a fabulous couple and are getting married next month. Woohoo!! You gotta love Texas on a super hot day-not really, but I did love Eric and Whitney's wedding!The image on the left is just one of the many great finds Whitney found as she explored for vintage, and antique pieces for their wedding decor. The image on the right is one of my favorites. They were giving each other their gifts and Whitney teared up as she opened the heart shaped locket Eric had given her.